It is the season of sweet potatoes, butternut squash, and pumpkin! I love Autumn flavors so be prepared for plenty of healthy recipes including these great ingredients and lots of cinnamon. Yum! 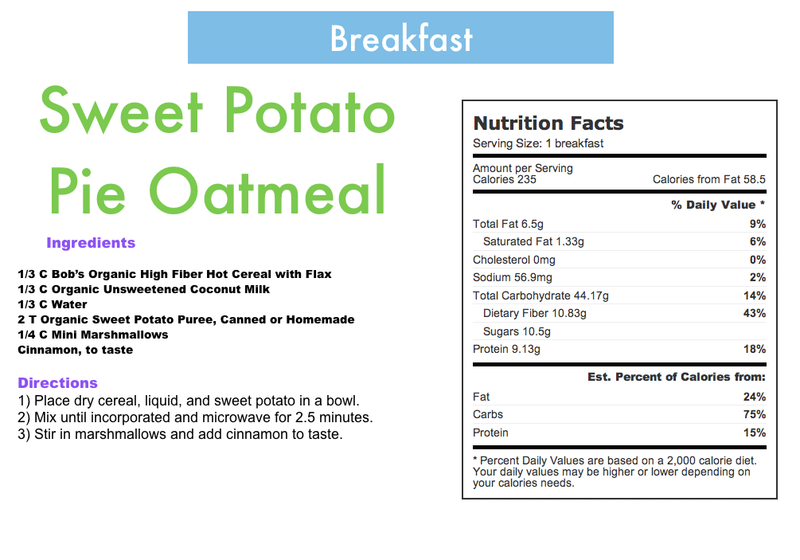 Here is a sample recipe from my meal plan! It is a delicious meal that can be enjoyed anytime of the day, but I have it for breakfast. Yum!